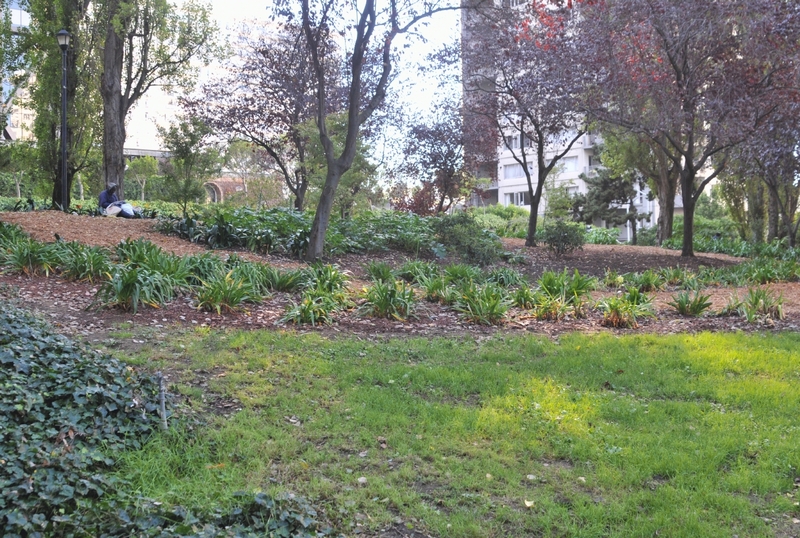 The park as it bordered Clay Street looked more like a hill than a park. 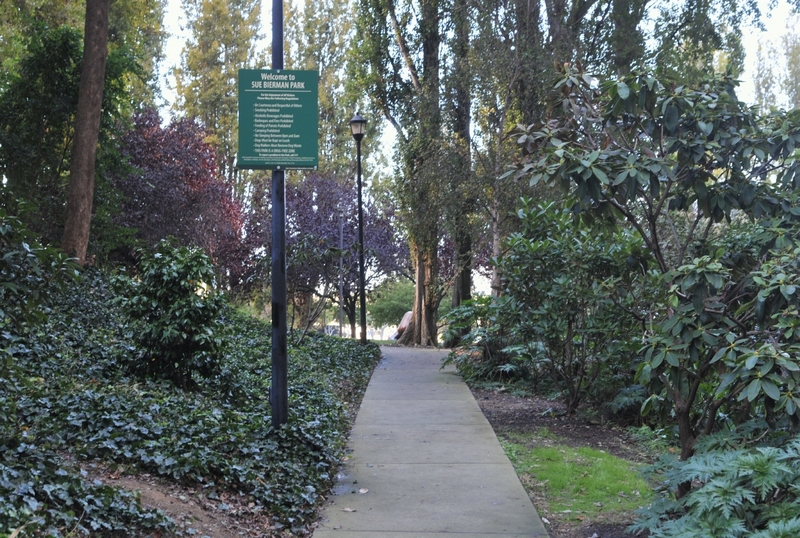 A path led into the park from the corner of Clay and Davis Streets. 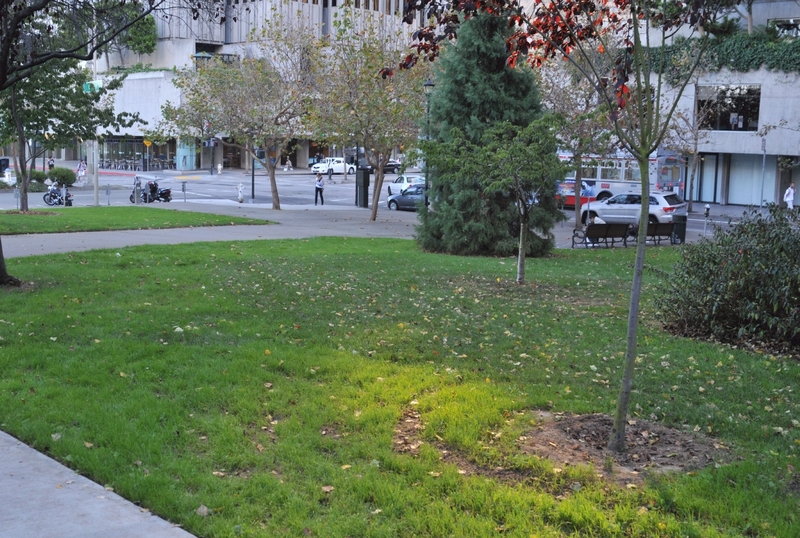 In the middle of downtown was this woodsy and pastoral scene. The path into the park made a hard right turn part way in. A garbage can decorated the corner of that turn. 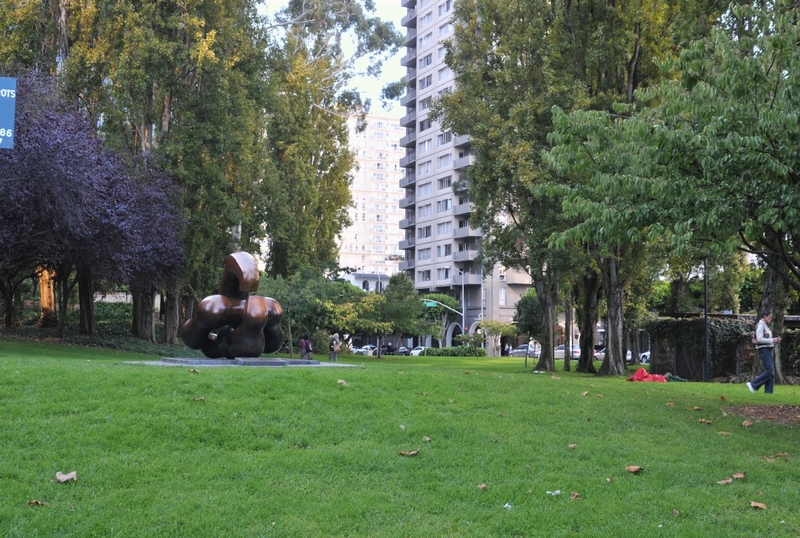 A garden and trees were seen off to the left of the path, as well as a man seated at the base of a tree. 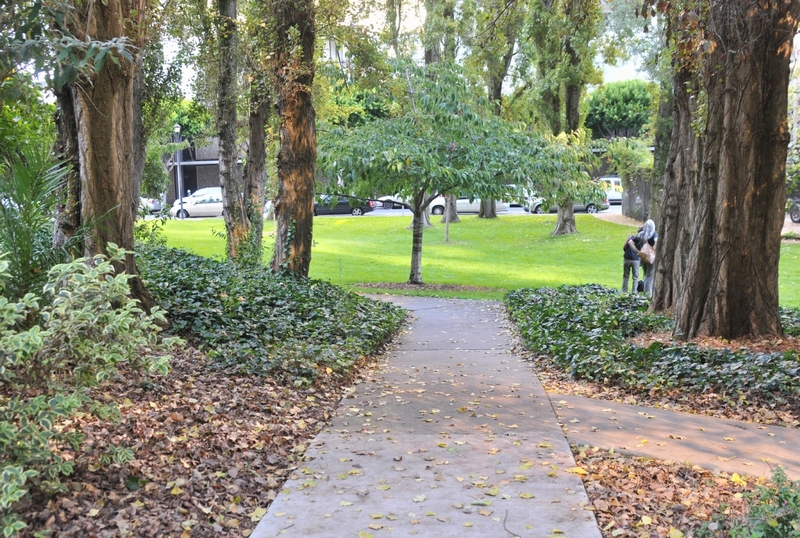 The path led to a wide swath of lawn. But to get there one had to pass by a man fishing cans and bottles from a garbage can. 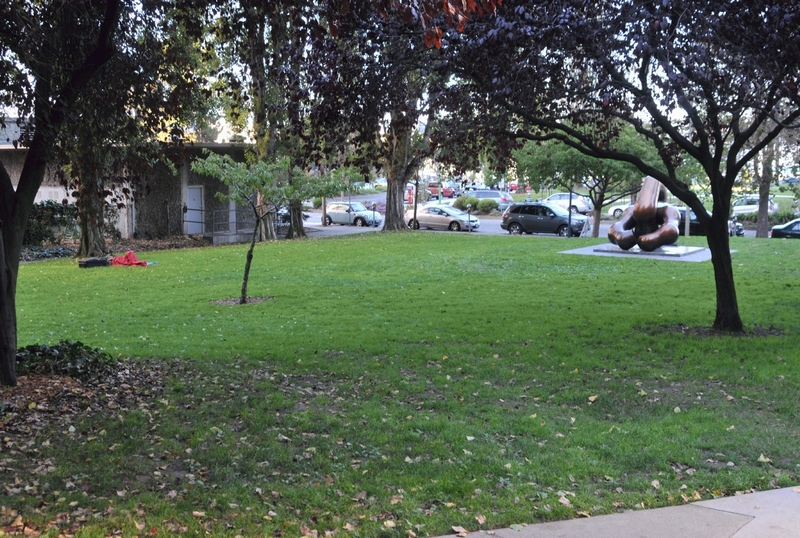 The wide part of the lawn seen in the direction of Drumm and Washington streets held a statue. 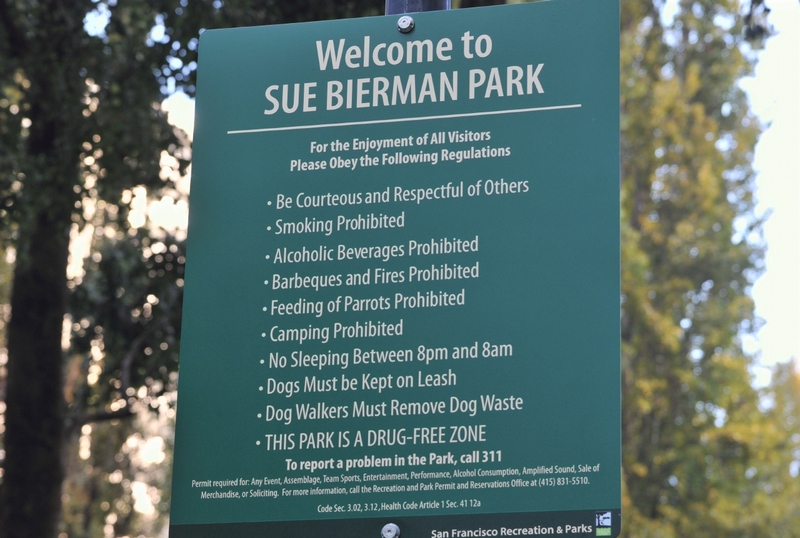 On the lawn near the stature was a man taking a nap. 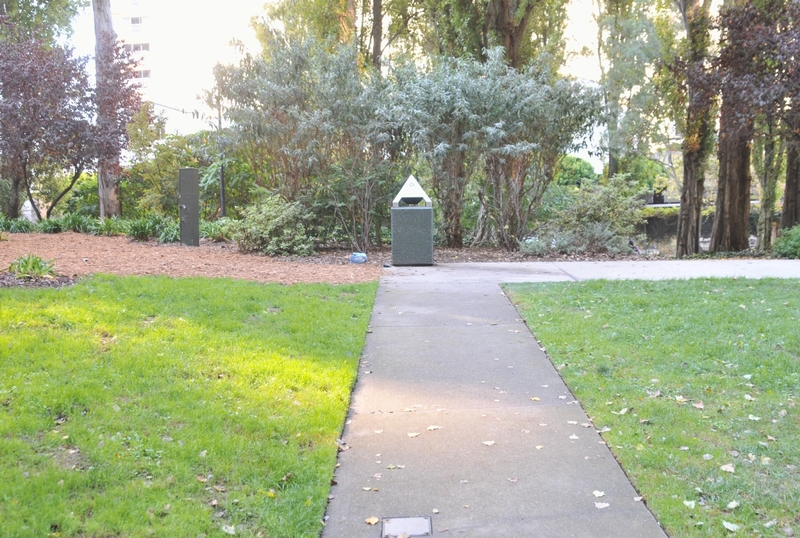 The wide lawn as seen looking in the direction of the Embarcadero Center. Note the patch of sunlight reflected off a surrounding high-rise. 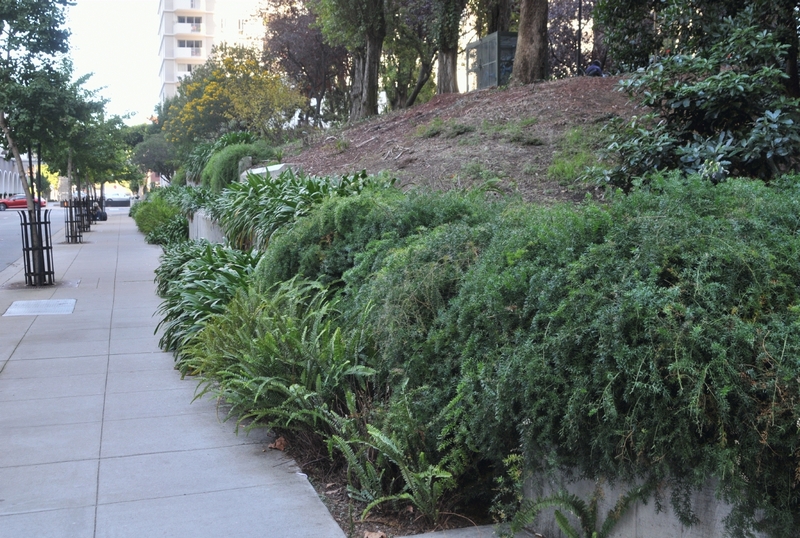 The view of the park when looking back into it from the midpoint with one's back to the Embarcadero. 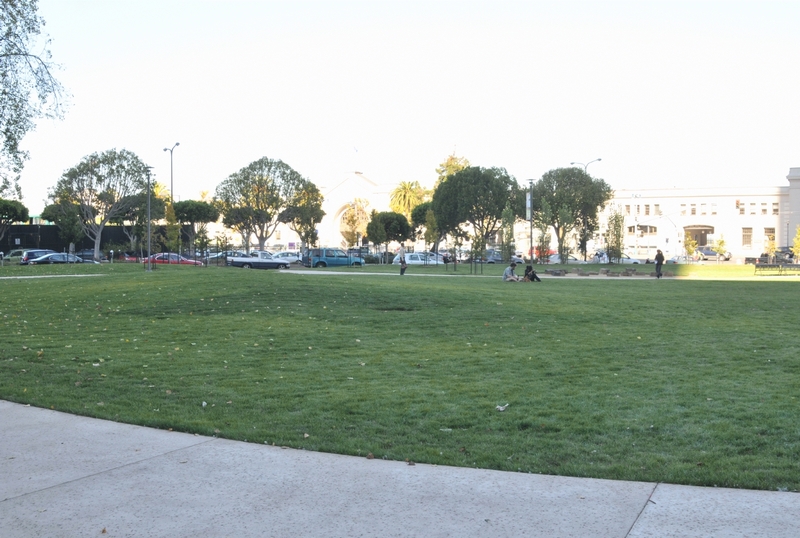 The rest of the park was just a wide area of grass that ran a full city block to the Embarcadero.